Episode 9 of the new FRIDAY FIX is now available to download and enjoy with a bonus of a cameo appearance from Rappo’s Mother-in-Law this week (twice even!). Once again it also includes interviews with managers from around Cornwall, mixed in with Rappo’s “Bet of the Week” and our Predictions on a handful of games throughout the Saturday football programme. As usual we keep in touch with our resident Truro City supporters, Josh and Cam, as well as the SWPL secretary Phil Hiscox. Rappo takes his regular look at the Cornwall Combination League scene and we hear from three managers involved in Senior Cup match this Saturday – Mike Walton (Launceston), Dane Bunney (Saltash Utd) and Kevin Richards (Porthleven). We also get to speak to Bodmin Town’s Harry Evans who is leaving for Australia next week and he’s lining up to play down under! We wish him good luck. 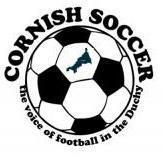 Once again, thanks for listening and please feel free to contact me – davedeacon@cornishsoccer.info with feedback, comments and suggestions for future episodes. It’s almost 90 minutes of fun talking about Cornish football with some of the people who are making sure Saturday continues to be our football day. Why not also leave a voice message for inclusion by going onto the Anchor app and following CORNISH SOCCER talking football. Can someone count how many times Rappo says ‘mate’? You would need a calculator!